While the Maharashtra derby may only be a 3 seasons old in the ISL, it goes across a number of sports. From Cricket all the way to Kabaddi, these two cities fight for supremacy in almost every possible thing. Forget about sports, type Mumbai vs. Pune in your Google search box and youa��ll find articles about why Mumbai is better than Pune, or a census report as to how much better the standard of living is comparatively and so on and so forth. It goes on and on, and it shows during matches played between the two teams. Especially in the ISL with the FC Pune City and Mumbai City FC being the only two teams from one state, just takes everything one step further. The derby started in Mumbaia��s favour with the Punekars getting thrashed 5-0 but FC Pune leveled things with a 2-0 win at home. Last season however saw the Pune win at home and then settle for a draw at Mumbai. Revenge is what drives derbies across the world – be it the Meryside derby, the North London derby or even the Milan derby. 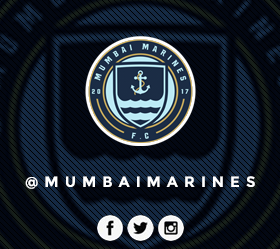 Mumbai will have to set the tone this time around, if they ever want to be taken seriously in the ISL. They under performed in both the first and the second seasons a�� finishing 7 and 6th respectively. So they cana��t blame fans to look uneasy as they launch a new attempt at the ISL title. Sure they signed Nicolas Anelka and they also had Sunil Chhetri, Indiaa��s top goalscorer. So one wonders how on earth could they have ever failed?? Maybe now things have changed with the signing of Diego Forlan, the free kick master from Uruguay. Now this is a man who still has some good football left in him. But given that Sunil Chhetri is out with Bengaluru FC in the AFC Cup, Forlan will be their main strikerA�till Chhetri returns.A�This too could be a blessing in disguise, as Mumbai have signed Jackichand Singh, the former FC Pune City winger. Singh who’s rise to fame has been steady, decided to play for Mumbai Fc after Pune’s disappointing season last year. But it wasn’t his performance with the ISL club lead to Mumbai signing him, it was his performance for India. Played as a winger, the 24 year old grabbed his first goal for hisA�country. FC Pune City on the other hand, has had their share of injury troubles. First it was marquee player Eidur Gudjohnsen and then it was Andre Bikey who have both been ruled out with injuries. It seemed that all was done for the Pune team, but now with the signing of Mohamed Sissoko a former Liverpool and Juventus player, things may have stabilized. But even then, on paper the Pune side have the weakest team but football is not played on paper. With new coach Antonio Habbas who happens to be an ISL veteran, having won the ISL with Atletico de Kolkata. FC Pune City are now in good hands and also have a coach who is overflowing with a desire to win. It showed during his time with Atletico de Kolkata and FC Pune desperately need Habbas to help them improve. With a 6th place finish in the first season, Pune only manage to go down from there finishing 7th last season. The only plus point from last season was the fact that they managed to beat Mumbai Fc and come out top in the Maharashtra derby. Other than that, they had a pretty disappointing second season and at one point in the season, they had gone 4 games without a win. Scoring goals turned out to be their biggest weakness last year and the year before, something Mumbai has had no problem with so far. But however given the fact that they have Edel Bete, a two time ISL winner with Atletico de Kolkata and Chennaiyin FC, they have a reliable man between the sticks. This should inspire the Pune side to attack with considerable force through Jesus Tato and Anibal Rodriguez. That may be little tough, as Pune will also missA�Indian international Eugeneson Lyngdoh in midfield due to his commitments in the AFC cup with Benguluru FC. But fear not, as FC Pune have Jonathan Lucca who although plays as a defensive midfielder, has the ability to join the attack and create goals. Combined with his creativity and his vision, Lucca has the ability to boss any midfield. If he does that tomorrow, Mumbai will find it very hard to win their first match since 2014 against Pune. All in all, tomorrowa��s Maharashtra Derby will definitely be a very interesting match to watch and like all derbies, there should be a lot of drama! !